Nick Schultz | The Phoenix First-year guard Janae Gonzales looks for an open teammate. A team can’t be considered good or successful until it’s surprising when they lose. A team can’t be considered good just because they lose by only a couple points. A loss is a loss no matter how many ways you slice it. 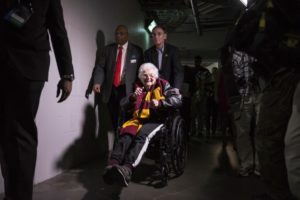 The Loyola women’s basketball team isn’t successful — at least not yet. They’re definitely improving, but for everyone saying they’re having a good season, no they’re not. This is a building season for them. They’re having a decent season in terms of how their past seasons have gone, but this team cannot be considered good. I’m not discounting their improvement from year one of head coach Kate Achter’s tenure. Achter’s first season produced only two wins, but now in the third season, the Ramblers have seen nine wins and they’re only halfway through the conference season. Nick Schultz | The Phoenix Loyola sophomore forward Abby O’Connor evades a defender. The team currently has a record of 9-9, which is the first time it hasn’t had a losing start since former head coach Sheryl Swoopes was around. The team is even shooting at 50 percent from the field. All of this, you can say is progress, but you can’t say it’s successful. Achter told me the players are considering the team’s 69-60 loss to Drake University Jan. 11 as a moral victory. As much as I want to be right there with them, this is still a loss. Yes, they held the previous Missouri Valley Conference (MVC) champions within nine points, but they still lost. Until you’re beating teams like Drake and other perennial power houses such as Missouri State University and Southern Illinois University, you can’t call yourselves good. To be considered good, you need to be competing with these teams the entire game — not just the fourth quarter. In almost every game, the Ramblers have outscored their opponents in the fourth quarter, but they need to see success in the other three to be producing wins. Signs are definitely pointing up for the women’s team this year. Sophomore guard Abby O’Connor is currently ranked sixth in the nation hitting 92.2 percent of her free throw attempts. Loyola sits ninth overall with its free throw percentage, the second best in the MVC. First-year guard Janae Gonzales had a career day this past Sunday against the Salukis, scoring a season-high 30 points. 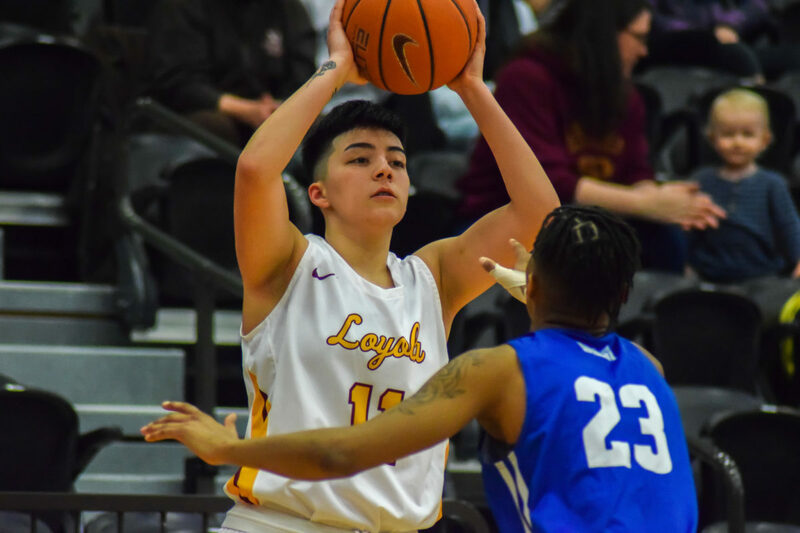 Gonzales is the second Rambler to join the 30-point club this season, joining O’Connor, who turned in a 31-point effort against DePaul University back in December. O’Connor and Gonzales are the first two Ramblers to score at least 30 points in a single game in the same season since the 2013-2014 season. I even think Gonzales has a chance at being MVC Freshman of the Year — or at least being named on the All-Freshman team. She’s turned the course for Loyola in terms of shooting. What used to be a very flat offense has evolved to an action-packed shooting performance headlined by Gonzales and O’Connor. 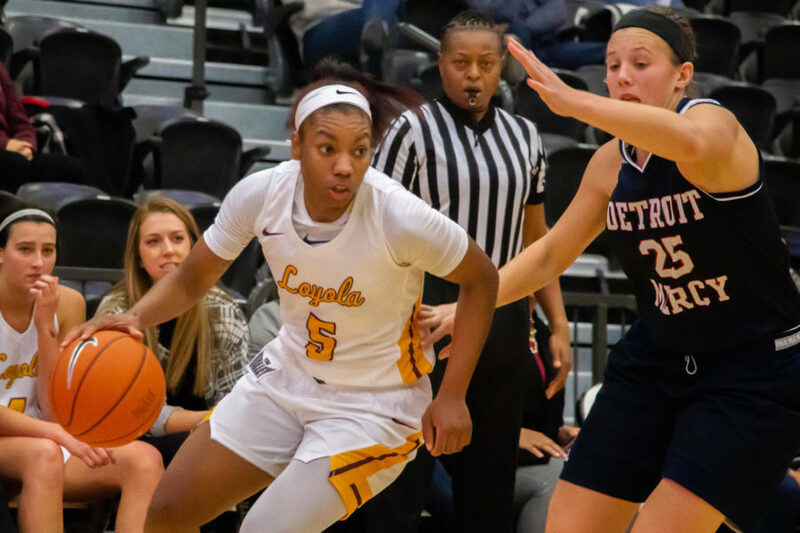 Nick Schultz | The Phoenix Junior guard Tiara Wallace dribbles around a Detroit Mercy Player. The team has had to face its bumps in this injury-ridden year. 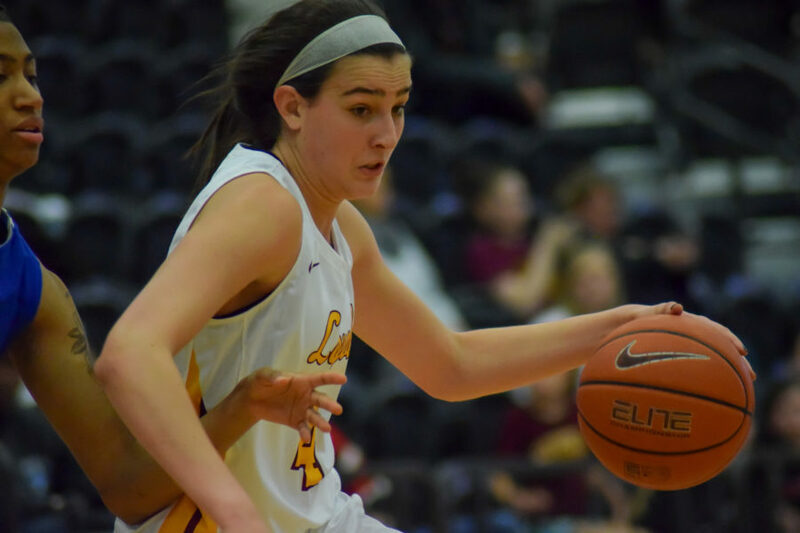 Sophomore guard Alexis Meyer had to sit out the entire non-conference season and now sophomore center Kat Nolan is out for the rest of the year. This team has taken all of these changes in stride. Last year, I honestly think the team would’ve fallen apart losing these two players, but this year, they’ve been able to overcome the obstacles. Overall, I’m not saying this team is bad. It’s just not good, yet, it’s improving. Achter has only been coaching this team for three years and there has already been improvement. I can imagine this team being a future powerhouse, it just has to get there first. The Ramblers have some positives in Gonzales, O’Connor and their newfound consistency, but in order for them to be the next Drake of the MVC, they need to start pulling out wins — not just “good” losses. The picture with Tiara Wallace is against Detroit Mercy, not Indiana State. 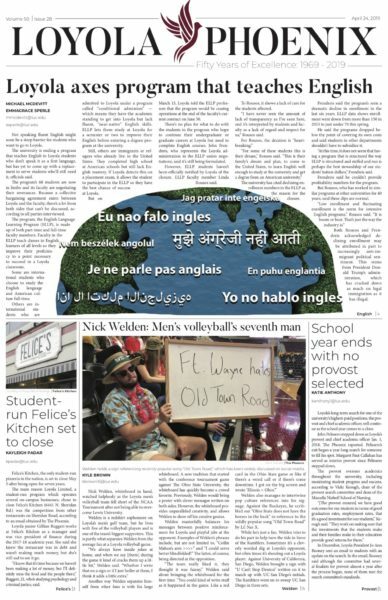 Probably should’ve edited this before publishing.